Washington, DC – Opening combat roles to qualified women will make the Army stronger, say Army veterans who have seen how women have performed in the last decade of war. 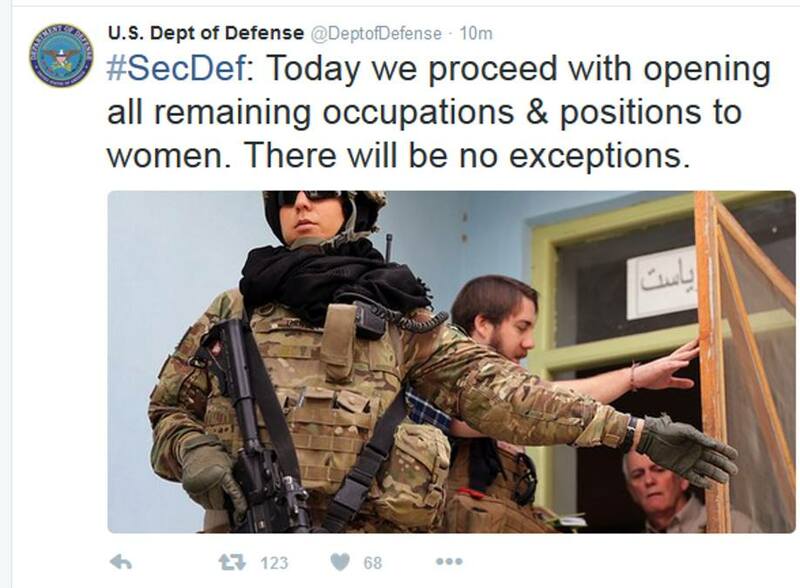 Secretary of Defense Ashton Carter announced today that ground combat roles in the Army, previously closed to women, would be open to all who meet the standards. Representing US military veterans who agree that “valor knows no gender,” several spoke out today in response. Schretzman, a 1989 West Point graduate, served 26 years in the infantry, with four combat deployments to Iraq and Afghanistan. He was twice awarded the Bronze Star, as well as the Legion of Merit. Silk served as an infantryman for 13 years before commissioning as an Armor officer. After being hit in the chest in a firefight in Iraq, he fought to stay on active duty and commanded troops in Afghanistan before retiring at the rank of Major. Piro, a West Point graduate, Airborne and Ranger-qualified, deployed twice to Iraq and was twice awarded the Bronze Star. Readiness First is an organization of US military veterans who believe that a diverse force is a stronger force. We believe that what counts in a warrior are competence, character, and commitment – nothing else. We believe that honor, courage, and strength are not reserved to any single gender, race, religion, or sexual orientation. We believe that artificial barriers driven by prejudice make our Armed Forces less agile, less responsive, and less effective.